The volcano has a very active hot lake whose degassing activity and temperature (48° C) increased after the magnitude 7.6 earthquake on 5 Sep. It has milky gray color due to mixing of sediments. On September 20 RSN staff made a visit to the active crater of Rincon de la Vieja Volcano, during which they collected a sample of lake water for subsequent chemical analysis and captured thermal images and videos, both of the surface of the lake and fumaroles, and compared them with images taken in April of 2012. This revealed that there has been an increase in the temperature of the lake, while the fumarolic field remained the same. The fumarole field is located in the inner wall west of the active crater. 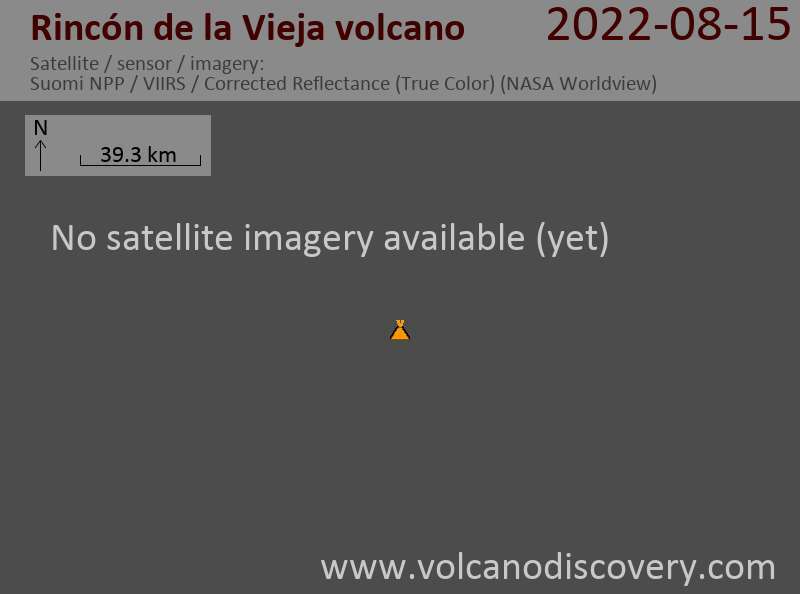 In the thermal image the maximum temperature reached in the vent field is around ~ 170 ° C, similar to those recorded in April 2012. However, there is an increase in the degassing presenting this vent field, compared to April. Although no phreatic eruptions have been observed during the visit, the acid lake had strong activity. Its average temperature is 46° C, reaching peaks of 48.7 ° C, in areas where there are clearly convective cells. Meanwhile, the temperature of the water sample was 47 ° C, coinciding with the data provided by the thermal imagery. The measured pH was 0. The degassing increased with respect to the month of April, and it was necessary to use protective masks when approaching the hot lake. On the surface of the lake a large amount of floating sulfur was found, indicating the presence of active underwater vents. The color of the lake is blue-gray, with dark gray tones in the hottest spots. The lake level dropped with respect to April despite being in the rainy season. Around 35,000 cubic meters of water were lost since April due to constant evaporation.